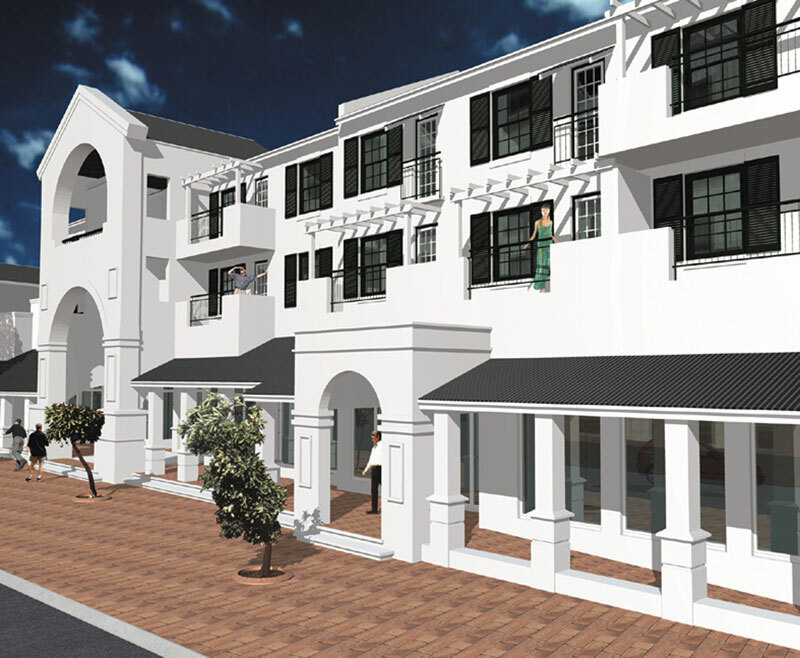 The Bergzicht Plaza complex is a commercial & residential development in the heart of the Stellenbosch CBD. 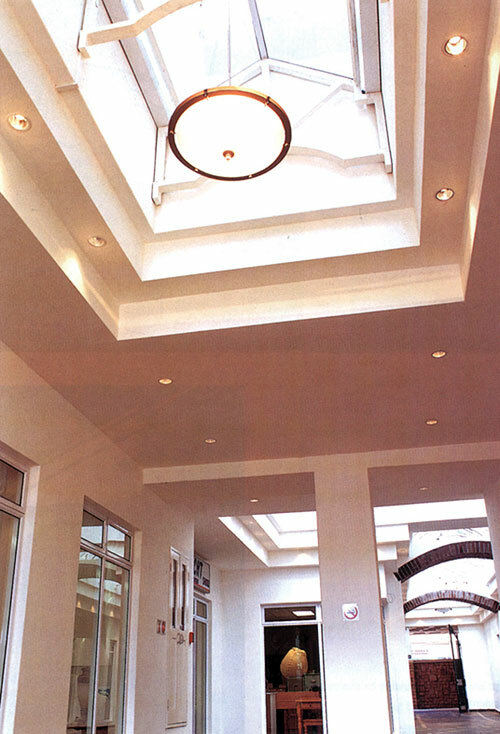 It has significantly contributed to the improvement of the built environment of the northern edge of the town’s historic core. 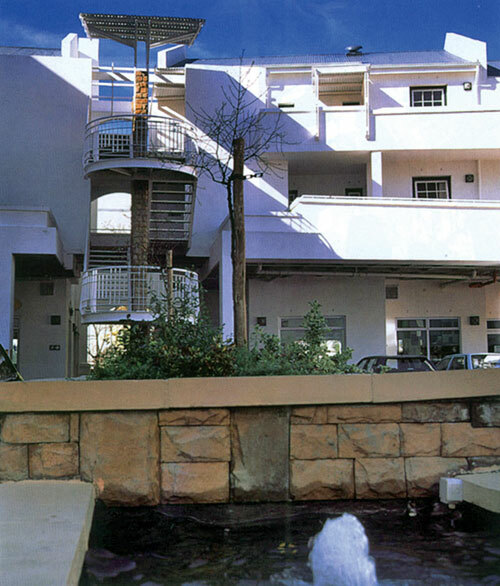 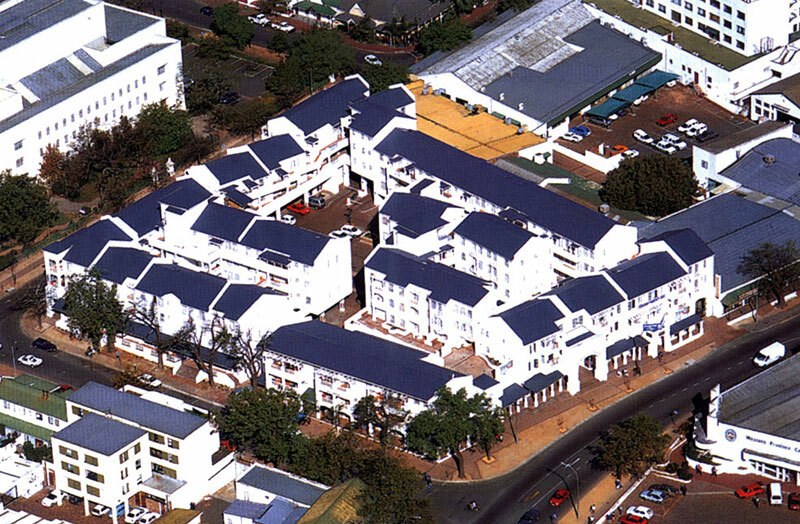 The complex was designed to complement and enhance the architectural language of Stellenbosch and its historic area. 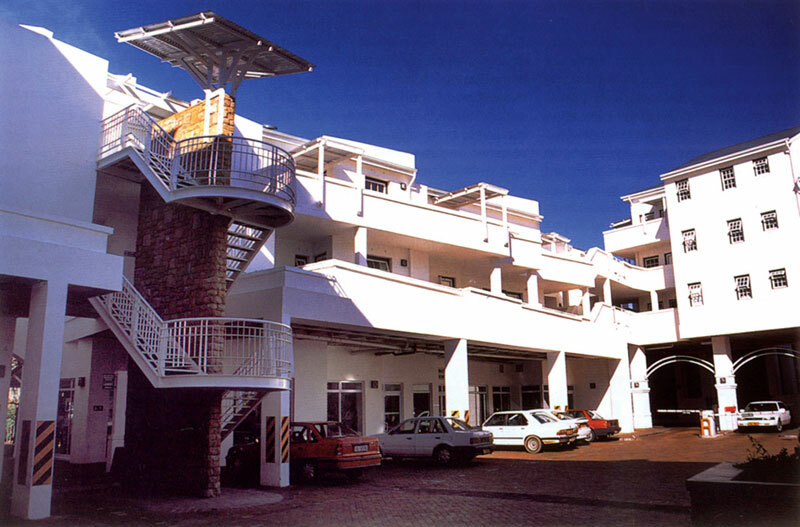 The scale of the complex was broken down into smaller semi-clustered buildings aranged around walkways and a central courtyard, which serves as a “village square”.